Are you a multi-tasking person and enjoys working with people from different locations? Do you want to be a specialist and share your knowledge with others? You will be working in the Group Operations within Personal & Corporate Functional Management team for Payments & Liquidity. You will have to work with Project Managers from different regions, areas and functions. Listen to our stakeholders from Wealth Management and CIC to understand their needs and partner with IT to manage the delivery. You will be working in the Group Internal Audit team. 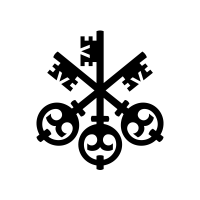 GIA's role, as an independent function, is to support UBS in achieving its strategic, operational, financial and compliance objectives. We do this by assessing key processes as well as governance, risk management and the control environment within all business divisions and Corporate Center functions globally. We are independent in our work and report directly to the Chairman of the Board of Directors and the Audit Committee. We are a talent powerhouse that attracts and develops the best people by driving career growth in and outside the department. Our team is responsible for auditing Group Operations. – collaborate with interface partners as part of efficiency improvements and improve processes continuously. You'll be working in a team aligned to WM securities settlements. The team covers pre-matching assistance, realignments, settlement monitoring, settlement fails management inclusive fails reporting. Investigating cash and securities are additional tasks. Through continuous process control and improvement a high quality standard and high productivity is ensured. 2. Provide support to Client Advisors on these types of documents and provide pre-vetting support if needed. This also includes giving support to them for any exception handling they may face with their clients. 3. Ensure that the document records correspond with data in the system. 4. Able to understand new regulatory requirements, translating them into operational procedures. - Establishing new business rules and getting sign-offs from the various stakeholders. You'll be working in the Client Life-cycle Team (CLM) in Singapore, supporting the Singapore and Hong Kong Wealth Management Business. 3. A strong foundation of Wealth Management client documentation. 4. Structured, organized and able to independently manage and prioritize your workload. 5. Must be detail-oriented and able to work with a high volume of documents in a fast-paced environment. You'll be working in Singapore Wealth Management Middle Office, supporting both Singapore and Hong Kong business. The Asset Transfer team covers liaising with counterparties, processing, settlement monitoring, settlement fails reporting, investigating cash and securities breaks. Through continuous process control and improvement, ensure high quality standard and productivity. You'll be working in a new Group Operations Transformation team which is currently being mobilized in Singapore. We analyze the way we work and transform through Robotics, workflow solutions, WoW (Ways-of-Working), and production dashboards, with impact on workforce, data, processes and applications/channels. Are you an innovator who loves to solve problems, with a keen interest in financial markets? • manage the End-to-End delivery of business change project or other IT projects that are supporting the business operation. You'll be working in the Capital Markets Structured Products team in Hong Kong/Singapore. We're responsible for structuring, development, pricing and execution of Structured Products and Derivatives for distribution to Wealth Management clients in Hong Kong and Singapore via various distribution channels. We also own the strategic one-stop-shop Structured Product pricing and execution platform that is developed to be a market leading technology platform in the industry. • knowledge and experience with Structured Products and OTC derivatives products, cross asset classes. • Technology Platform change/development management experience. • Strong both written and verbal communication skill. Confident and comfortable to interact with stakeholders at all levels. - building & maintaining relationships with various client advisers, client adviser assistants, custodians, counterparties, stock lending, risk and offshore teams. actions processes and continue to evolve/streamline/minimise risk across income, mandatory and voluntary events. - assist and drive the implementation of various change initiatives for the corporate action processes. - work closely with the Wealth Management APAC Asset Servicing team to provide day to day support, assist in meeting their objectives and strategies, and achieve their business plans for the year. You'll be working in the Wealth Management APAC Asset Servicing Team in Singapore. This role will predominantly focus on the day to day support of the Asset Servicing team. This will cover all aspects & each role within the Asset Servicing team so interaction with others in your team will be high. Do you have experience managing a team and working with senior internal stakeholders and external wealth management clients? of relationship management with senior internal stakeholders and external wealth management clients. The role also involves working directly with Client Advisors located in the APAC region to support their sales initiatives and provide holistic investment advice. The Head of IPS Global Capital Markets – Foreign Exchange APAC is responsible for leading the Structuring and Sales of Foreign Exchange business for Wealth Management APAC business. This entails responsibility for managing and leading various sales initiatives as well as a high degree of relationship management with senior internal stakeholders and external wealth management clients. The role also involves working directly with Client Advisors located in the APAC region to support their sales initiatives and provide holistic investment advice.